Marathon and Delport (M&D) informal settlement is the first official Expropriation Without Compensation (EWC) announcement. It is not an illegitimately acquired rich white farm or luxury home in Clifton but the shacks of 20,000 destitute poor black South Africans. Alexandra township (Alex) in Johannesburg was expropriated without compensation during the darkest days of apartheid. A generation after apartheid supposedly ended, EWC of land held has been reconfirmed by the government. 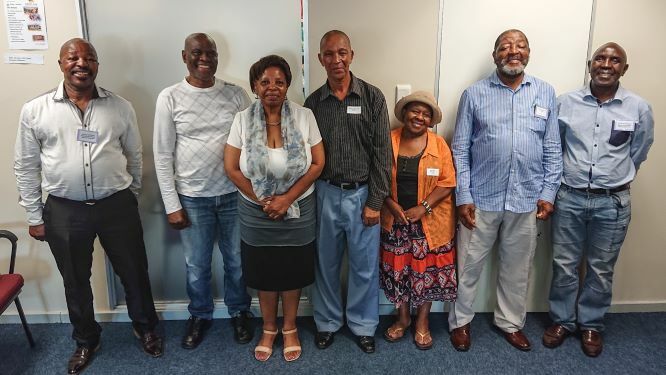 Community leaders from two “black” communities called on South Africans to reject EWC because it would amount to the reintroduction of the eviction of defenseless black people. “It is not the rich white farm that is being taken away, it is our shacks built with our own hands from nothing. We are the victims,” said Mfundisi (Pastor) Philip Ntweng Khotha from Marathon and Delport in Erkhuleni (Germiston). Vakele Richard Mbalukwana, Chair of Alexandra Property Owners Rights (APOR) said Alex land was expropriated from freehold owners in 1968 and they are still waiting for restitution 25 years into our ‘non-racial’ democracy. “It must never again be possible for any present or future government in any form or at any level to expropriate land or other property from black people without full and fair compensation." 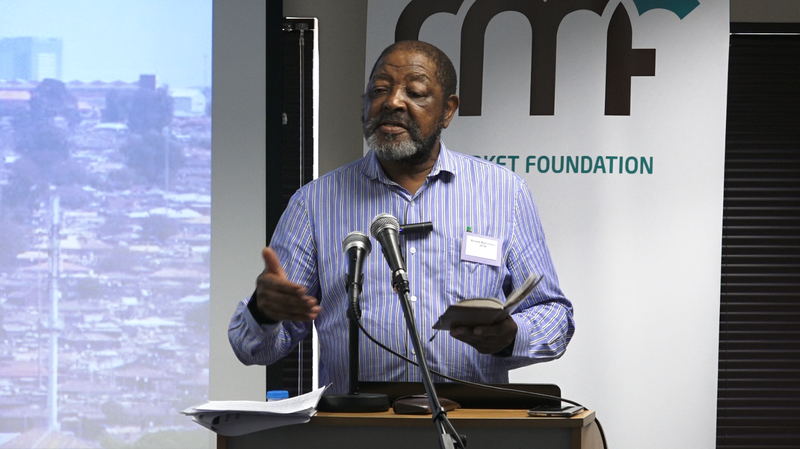 Mbalukwana and Khotha were speaking at a media briefing hosted by the Free Market Foundation (FMF) on 23 January 2019. They were joined by residents from the two communities. The key messages delivered were that EWC dispossession did not die with apartheid. Politics continues to triumph over people. EWC will ensure that black citizens are still the victims. According to M&D’s representatives, the intention is to evict them from their technically illegal “township” and use the land for “development”. The land is registered in the name of a company which, unlike the council, does not want to drive destitute residents into greater destitution. It agrees that they should be free to own their land and improve their living standards. First National Bank (FNB) and the FMF want to assist them with bank finance and property titling. Residents want the right to buy their plots and provide their own social and physical infrastructure services. Today they live in squalor. Since 1994, APOR, with the Alexandra Land and Property Owners’ Association (ALPOA), have had countless meetings with the government, held marches and demonstrations, petitioned the courts and the Land Claims Commission, and been promised restitution. But they remain victims of EWC. They recently gave the Johannesburg Council two months to restore their titles, failing which further action will be taken. Despite previous promises, former owners remain non-consenting government tenants. They have received neither their land nor compensation. A simple and easy solution would have been to restore the loot inherited from the apartheid regime. Leon Louw and the FMF have worked tirelessly for 30 years to achieve land restitution. In 2016, the FMF brokered an agreement with the Council for expropriated owners to receive restitution and compensation, but the agreement has never been honoured. A meeting on 18 January under the auspices of Premier David Makhura has given Mbalukwana new hope of restitution. The FMF will monitor developments and keep media informed. Despite the President’s assurances of what the government intends, the reality of EWC is that the power to expropriate has always been and always will be exercised by thousands of petty officials, many of whom will not be able to resist temptation driven by personal agendas such as grudges, politics, corruption and the abuse of power.